Thinking where to Charge your Electric Car? After the solar energy revolution in India, electric vehicles have become the next big thing. In order to maintain the quality of air, the government of India is set to reduce its carbon footprint throughout and is setting aggressive targets to meet its goal. The country is now working towards electrifying its fleet as fuel emission is one of the most important cause for today’s bad quality of air. 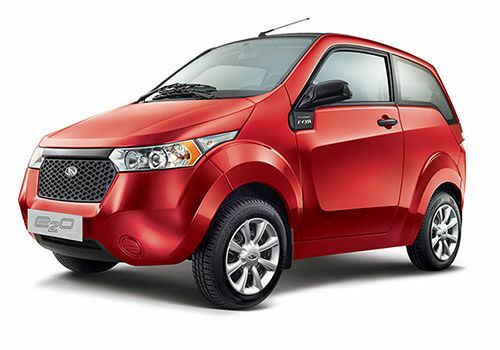 In this regard, it has decided to launch a full range of electric vehicle in the two-, three- and four-wheeler segment. In addition, public transport like electric buses and electric auto rickshaws will also be launched. Though the electric vehicles will be launched, the problem of charging infrastructure will remain as it would be difficult to find a charging station in your own vicinity. I keep reading comments from my readers as to places where to Charge their Electric Car. Lack of an adequate number of charging stations at convenient locations has been one of the major reasons for lack of interest in electric cars in India, even though the country has its own indigenous production. Read about Reva Electric Car in India. In this regard, NTPC has recently issued tenders for setting up charging infrastructure for electric vehicles including buses and four-wheelers, on a turnkey basis. In order to qualify, the bidder should have manufactured or supplied, or be a charge point provider of EV DC chargers. The successful firm should have installed a minimum total capacity of 50 kW, out of which at least one DC charger should be of 15 kW or above. In addition, the average annual turnover of the bidder should not be less than ?222 million in the last three financial years. The successful bidder will be responsible for supplying, transporting, installing, and maintenance of the EV charging stations. The last date for the submission of bids is April 23, 2019. Lack of sufficient EV charging stations is a major setback for faster adoption of electric cars. There are people who are interested in running electric cars but are dissuaded because of the absence of charging points near their vicinity.